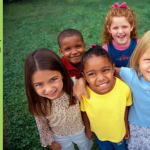 All Hands Volunteers is a National nonprofit organization that addresses the immediate and long-term needs of communities impacted by natural disasters by engaging and leveraging volunteers, partner organizations and local communities. The organization’s vision is to demonstrate the power and value of volunteer service through the tangible work done, the hope it brings to suffering communities and the transformative experiences it provides for volunteers. All Hands Volunteers is working relentlessly to help victims of the May 2017 Midwest Floods that devastated several communities in Southern Missouri. Over 20,000 people were forced to evacuate their homes and leave most of what they owned behind. After the flood waters subsided, many returned to find that their homes and belongings had been severely damaged or completely destroyed. 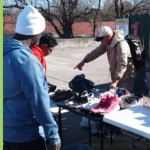 All Hands Volunteers has stepped in to begin helping these communities heal by utilizing its vast network of volunteers to start the rebuilding process. Early disaster response organizations like All Hands Volunteers are in desperate need of Shockwave, an EPA-registered cleaner and disinfectant which is particularly effective for mold remediation. After a flood, it is highly likely that water-damaged homes will grow mold that can be extremely harmful, or even deadly. 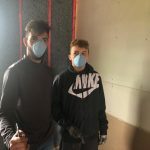 Good360 was able to send multiple cartons of the life-saving mold repellent to All Hands Volunteers which they used to start the rebuilding process on several families’ homes. 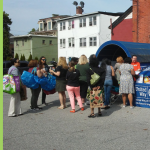 The impact of this product has helped the community begin the journey of recovery and has given them the peace of mind that they will be moving back into homes that are safe. An All Hands Volunteers employee said, “The team and the community of Van Buren was so appreciative of this donation. Mold sanitation is one of the most important parts of the response and recovery process. 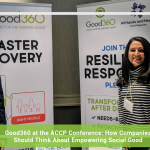 Without sanitation, homes can become deadly.” Thanks to the collaboration between Good360 and All Hands Volunteers, the RIGHT product got to the RIGHT organization at the RIGHT point in the disaster recovery process. These kinds of partnerships help ensure that a community has the resources it needs to recover and become more resilient in the future.